To (…) regulate the Value (…) of foreign Coin”. The third Clause of Section 8, that says: „The Congress shall have Power (…) To regulate Commerce with foreign Nations, and among the several States, and with the Indian Tribes”  is known as „the commerce clause”. This provision defines a wide range of Congresses participation in trade policy. And it stirred up controversies from the very beginning, because another institutions claimed for their rights in creating trade policy. 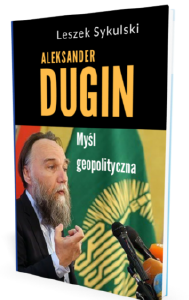 Despite of, as Paweł Laidler states in his „Guide” of the American Constitution, „from the correct functioning of the system point of view, granting the competences to regulate an international trade to the federal power, was the only proper solution”. Those controversies were many times resolved in a court decision. According to the Article 2 Section 1 of the Constitution „the executive Power shall be vested in a President of the United States of America”. Therefore in the case of Congress the Constitution directly designates some elements of trade policy to it, but President’s right to create this policy lies in his executive power. Until 1922 the American President had only limited capacity to control foreign trade: the treaties. Until 1934 the Congress claimed, that for example the tariffs are an element of internal – not international – policy. But this interpretation of a division of tasks wasn’t effective in practice. The legal acts, that were implemented in the following years, delegated another competences to the President. 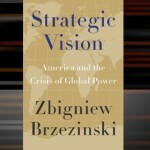 This contributed a total change in American strategy and a conception of global trade, in which the most important links are international trade agreements. But still the President’s power in foreign trade is scrupulously controlled by the Congress – to conclude an international agreement the President needs the approval of 2/3rd of the Senate. sign the agreements under his commander in chief of the army and navy power; those so-called sole executive agreements can be concluded without any cooperation with the Congress. Consultations between those two powers as a very important mechanism. This conclusion can definitely be applied to a foreign trade policy of the United States. Selected institutions connected with the American trade policy and engaged to the process of international trade policy. The Omnibus Trade Act, passed in 1992, gave the foundations to create the Trade Promotion Coordinating Committee – TPCC. It was established by the president in 1993 under the Executive Order No. 12870. It involved 19 institutions, among them there were the federal Departments, and also federal agencies and government corporations. The list of institutions appeared as follows: the Department of Commerce, the Department of State, the Department of the Treasury, the Department of Agriculture, the Department of Energy, the Department of Transportation, the Department of Defense, the Department of Labor, the Department of the Interior, United States Agency for International Development – USAID, Trade and Development Agency – TDA, Environmental Protection Agency – EPA, U.S. Information Agency – USIA, Small Business Administration – SBA, Overseas Private Investment Corporation – OPIC, Export-Import Bank of the United States – Ex-Im Bank, United States Trade Representative – USTR, Council of Economic Advisors – CEA, Office of Management and Budget – OMB, National Economic Council – NEC, and National Security Council – NSC. For the purposes of this article in the first place is mentioned the Office of the United States Trade Representative as responsible for managing the U.S. trade policy, next the parts of particular government Departments involved in international trade, then another government agencies and other institutions. This catalogue doesn’t list all the institutions involved in American foreign trade, but indicates the most active players. – managing all the WTO negotiations. U.S. Department of Commerce (established in 1903 as Department of Commerce and Labor, as Department of Commerce since 1913) in its foreign trade policy operates for the benefit of U.S. trade competitiveness on global market. The goal is to strengthen an international economic position of the United States and to support its foreign trade by making the new markets accessible for the American goods and services. – Import Administration – enforcing the American trade law and the laws upon trade agreements, to prevent from an unfair import practices and to protect a competitiveness of the American businesses. – the Office of Economic Policy, responsible for analyzing and reporting on current and anticipated economic developments in American and world economy, and supporting the process of economic decision making. – the Office of International Affairs, and in its structure: Trade and Investment Policy deputat, who works to promote open trade and investments policy internationally and for the U.S. With the use of the Office of Trade Finance and Investment Negotiations and the Office of International Trade, the Department of the Treasury cooperates with another government agencies to create the policy of foreign trade and investments, participates in an international negotiations related to trade liberalization, in OECD committees on trade liberalization, etc. – Office of Agriculture, Biotechnology, and Textile Trade Affairs, that has the following tasks: to harmonize the international standards, to negotiate the Food Assistance Convention (that coordinates the international actions in the face of crisis situations), to object the unjustified restrictions in agricultural trade, to promote open trade of basic foods. – Office of Bilateral Trade Affairs (BTA), that participates in many key initiatives in trade and economic affairs, such as: striving the Congress’s support for bilateral trade agreements, and economic dialogues, supporting the US-EU Transatlantic Economic Council and transatlantic economic dialogue, promoting a development of the African countries by the implementation of the Africa Growth and Opportunity Act, working on trade development with Middle East and Northern Africa. 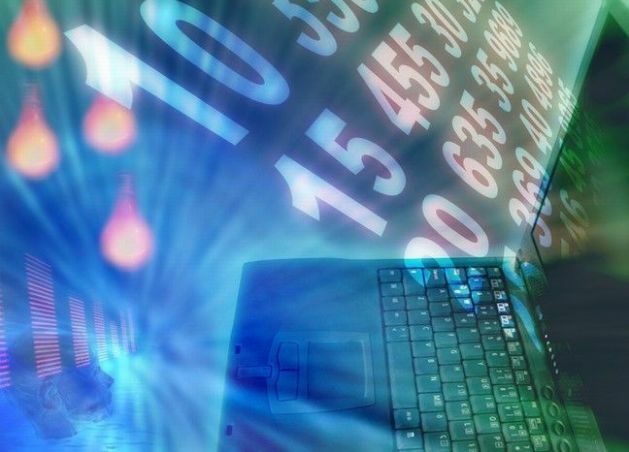 – Office of Intellectual Property Enforcement (IPE), that promotes an American innovativeness by forcing the effective protection and enforcing intellectual property rights (IPR). The staff of the Office operate by the embassies and consulates to ensure, that the American intellectual property rights owners are protected abroad. They also take part in bi- and multilateral negotiations and talks concerning IPR, support the creating of international law in that matter. – Office of Multilateral Trade Affairs, that runs a trade policy under multinational institutions, like WTO or OECD. Provides the expertise for the needs of regional and bilateral trade negotiations, and the negotiations in other areas: labor market, environment, services, government supplies, tariff protection means, trade potential building. Supports the bilateral WTO access negotiations and the American trade programs. – Foreign Military Sales (FMS), under which the arms, services and training support are provided. The countries that participate in that program can make their payments using their own or foreign funds (for example from support programs sponsored by USA or other grants). The President designates the countries or international organizations that can participate in this program. For that designation he needs the Department of State’s recommendation. The Department also approves the individual programs. The programs mentioned above, along with the Foreign Military Financing (FMF) and the International Military Education and Training (IMET), form the Security Assistance System under the Security Cooperation. This cooperation for security’s purpose is to build the relations with other countries, that would serve the American interests, to build in allied countries the effective defense system, to enable the U.S. forces taking part in missions during a time of peace. Those are the elements of defense policy, although effect also the international trade in the armaments industry. A significant role of the U.S. Department of Agriculture (established in 1889) in trade policy follows from the fact, that United States are the world’s largest food producer and exporter. At the same time the American producers manufacture more than the domestic consumers can purchase. Therefore it is very important to extend the access to foreign markets. Especially the markets of developing countries, where the demand for American products is large, and also where the American policy of foreign economic aid (which stimulates the trade) is realized. – provides the newest information and statistical data on agricultural trade. Most of the international trade agreement include employee rights provisions. That is why the Department of Labor also plays one of the roles in creating U.S. foreign trade policy. Those provisions’ goals is to ensure that the benefits from trade liberalization would concern also the worker’s rights and that their rights wouldn’t be violated. Therefore the consultation with the Department of Labor is the permanent element of every free trade agreement negotiation process. As a part of the Depratment operates the Bureau of International Labor Affairs (ILAB), with the special Office of Trade and Labor Affairs (OTLA). Its role is to verify if the foreign agreement party obeys its obligations towards workers. Upon the complains from institutions or trade unions, the Bureau also investigates the cases of employees rights violation, and prepares the report with recommendations. Those reports and recommendations help with resolving the disputes between USA and trade partner and making the decision about further cooperation upon the trade agreement. The United States Department of Homeland Security was established in 2001 after the events of September 11th. Its purpose is to coordinate the operations of U.S. intelligence and security agencies. Since 2003 the federal agency – U.S. Custom Service – was included into the Department, and the U.S. Customs and Border Protection (CBP) was created. This part’s responsibility is (among others) to ensure the border protection and to enable the legal international trade. Thanks to its cooperation with many institutions engaged in international trade, other federal agencies and foreign governments, it can guarantee the American foreign trade safety by ensuring that the U.S. and international trade law is obeyed, protecting the market from dangerous products etc. The Ex-Im Bank, established in 1934, is the federal credit agency. Its purpose is to take part in financing the export of American goods and services to international markets. The Bank provides the capital guarantees, export credit insurance, etc. It also offers the financial support for development of safe international transport system, that allows to buy the equipment, cars, technologies, safety systems. All those activities are the elements of U.S. foreign trade policy in its more protectionist version. After 1945 the Economic Cooperation Agency (ECA) was created, and it was responsible for the implementation of Marshall Plan in Europe. In 1961 President Kennedy established USAID. Its activity consists in supporting the economic development of the countries by: assistance in implementing improvements in trade system, so that it could integrate with the world trade system; assistance in improving legal systems and domestic trade regulations; programs that support the countries in lowering the costs and risks of business activities. Thanks to that those countries should become the strong trade partners and create fast growing markets for American products. OPIC is a financial institution of the U.S. government, that was established in 1971. It supports the American foreign trade policy by engaging the private capital to international initiatives. It also helps the American businesses in achieving a strong position on foreign, developing markets, generating the profits, creating jobs on domestic and foreign markets. To complete those goals it provides financing, guarantees, insurance for political risks to the investors. USTDA is an independent government agency for foreign aid, established by the Congress in 1961. Its mission is to help businesses to create new job positions, by increasing the export of U.S. goods and services upon the developing programs for the countries that are the American trade partners. It grants the projects in developing countries, which goals are to develop modern infrastructure and open trade system. One of the criteria in selecting the project for the grant is if it offers benefits both for the country that gets the support, and the USA (for example the opportunity for the American businesses to export goods and services under the project). a support for small businesses by consulting and giving the opportunity to take part in project financed by the USTDA. For the first 150 years of the United States the Congress executed its competencies in international trade by imposing the tariffs on all imported goods. The tariff was the main foreign trade policy tool and main federal budget income source. The early congressional trade debates were ran mainly in the conditions of conflict between the congressmen from northern, industrial regions (that had profits from high tariffs) and the representatives from southern states – large exporters, that wanted to lower the tariffs. At this time the main President’s role (from his executive power given by the Constitution) was to negotiate and implement the bilateral agreements of friendship, trade and navigation. There were two acts from the 1930s. that fundamentally changed the nature of American trade policy. The first was „Smoot-Hawley” Tariff Act of 1930, that established prohibitive tariffs, which were the answer for the producers’ needs during the Great Depression. But that policy made the American trade partners run the retaliatory trade restrictions. It deepened and lengthened the effects of depression. The negative results of the „Smoot-Hawley” Tariff Act forced the Congress to create the new regulations. With the support of the ex-senator and Secretary of State Cordell Hull, the Congress ratified the Reciprocal Trade Agreements Act of 1934 (RTAA). That Act gave the President right to interfere in bilateral trade agreements to reduce the level of tariffs. The tariff was established upon the most favoured nation clause. Under the RTAA the Congress gave the President the right to implement new tariffs by a proclamation and without added legislative procedures. The RTAA had the key significance for establishing the formal relations between the Congress and the President in the area of international trade policy. First: the right for determining the tariffs was delegated to the President. Second: the „Smoot-Hawley” Act was the last case of Congress’ influence on tariff regulation. And third: the delegation of mentioned rights to the President didn’t take away the Congress’ influence on trade policy – the President’s right is always temporary, could be revised, and can be prolonged. Especially the Chapter 301 of the Trade Act of 1974 gave the President right to be the executor of American trade agreements. That way the Government is able to eliminate trade laws, policies or practices of foreign governments that can discriminate or limit the American trade or can violate the international trade agreements. This is the foundation of American trade law that gives the Government a right to protect the American exporters from unfair practices of foreign governments. One of many examples of use of the President’s right to make independent decisions about foreign trade was Jimmy Carter’s winning in battle against heavy duties on imported nuts, screws and bolts in April 1978. The International Trade Commission on congress wanted to put a 30 per cent duty on that products in order to protect the American producers from high imports, especially from Japan. But the President vetoed this decision claiming, that the high duties would cause inflation, invite retaliation and hurt international negotiations aimed at lowering trade barriers. At the end the President’s decision was sustained. Also the USTR Office is able to take an action against unfair trade practice. It can do it with its own initiative or with a motion of person, firm or union. If the negotiations with foreign government aren’t effective, the Chapter 301 of the Trade Act of 1974 gives the President right to take an action. In particular he can implement duties, taxes or restrictions on every product and service imported from given country. And there are no limitations about the President’s choice of products that he puts restrictions on. He can also decide if some other country’s practice is or isn’t unfair, irrational or discriminatory. By the end of twentieth century the structure of the executive powers responsible for trade policy changed. The Omnibus Trade and Competitivness Act of 1988 strengthened the importance of the USTR. The Congress’ approval of 1993 ad 1994 agreements and the Trade Promotion Authority Act of 2002 confirmed that the system evolves and proves correct. Other US foreign trade policy-making participants. A very interesting analysis of US political parties’ attitude towards foreign trade regulations was made by the scientists from Bowling Green State University. They studied all the voting on trade issues between 1993 (NAFTA ratification voting) and 2001 (Trade Promotion Authority voting) in the House. Among all of the interesting conclusions, one was as following: changing voting preferences of House representatives gives a crucial explanation for changes in foreign trade policy of the Congress. This inconstancy is influenced by many factors at the level of the Representatives’ electoral districts. For example: for the Democrats the demands from various kinds of trade unions have more significance. That’s why in the selected period this party lowered its support for free trade. Also more financial support from trade unions makes both Republicans and Democrats less supportive for liberalization of the trade. This issue is – as Authors says – more complicated, but we can generalize that the Republican House representatives promote free trade, but Democrats are less supportive of that. The part in US foreign policy (including trade policy) also take governors and state governments. Their role in cooperation with foreign governments and international institutions is more and more important. They take part in negotiations and participate in limited forms of international agreements on behalf of their states. They execute the sanctions and other limitations policies toward other countries. The governors more frequently use their right to make independent decisions in matters that influence the federal foreign policy. As we can see from the analysis above many people or groups of people take part in creating the US foreign trade policy. So the area of international trade is no one power dominion. Trade policy requires a cooperation between both the executive and legislative branches. It also is hedged in many regulations and court decisions, that hamper both powers. The Constitution’s articles are interpreted by many administrative powers and institutions, and those interpretations are often divergent. The United States don’t have one legal document that would include all the trade regulations. That is the main reason of many conflicts between all trade policy-making process participants. As it was said before, the President has a right to make independent decisions in foreign trade policy, but the Congress can prolong or not this right. That makes another area of conflict between both the executive and legislative branches. 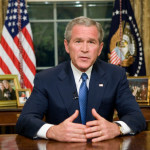 For example: in 2007 when George Bush’s second term was about to end, he tried to press a couple of trade agreements in short time. But after the Democrats took majority in both House and Senate, it was nearly impossible to do. This party, as it was said before, mostly opts for more strict protectionist foreign trade policy. A mandate that upon Trade Promotion Authority was essential for the White House to conclude the agreements, expired at the end of June 2007. According to fast track procedure the President has to present the agreement project to the Congress no later than 90 days before the mandate expiration date. So in fact President Bush had to prepare his projects before April 2007. Gaining extension of the mandate would have been very difficult even in Republican Congress, because fast track procedure gives wide competencies to the executive branch. With a new Democtratic Congress it was almost impossible. At the last moment presidential negotiators managed to conclude the US-South Korea trade agreement, which was the most significant since NAFTA of 1994. The other example of the President-Congress controversies is the situation from the 1950s. In those times when one party controlled both the executive and legislative branches, making a decision about trade policy was easy and peaceful. In the other cases the American trade negotiators started to feel some lack of freedom in their activities and decision making process. The Congress wasn’t willing to give the executive branch a wide authorization in trade policy. The cooperation was also difficult because of the Congress’ structure based on commissions. The congressional commissions were picking up some trade policy issues once in a while, when the agreements were considered. Meanwhile didn’t engage themselves in the negotiation process, which was the most important from producers and importers points of view. But at those moments the Government had to be engaged the most. As a result some misunderstandings between branches happened frequently. It is the fact that after World War II the United States were the ones that led the international organizations responsible for a capitalist world economy. This arrangement let the American Government priority over Congress in management of foreign economic policy. Despite those controversies between the President and the Congress, when it comes to use trade policy tools to gain some politic or diplomatic goals, the two parties reached an understanding. There are so many participants in the process of US foreign trade policy-making. Some of them have their authorizations given by the Constitution of the United States. Some others have a power to influence this policy given by the common law. In this complicated system it takes a lot of strength to achieve some compromise and to gain a common ground. Despite of many controversies, in overall the US foreign trade policy system, set on a very complicated structure, works. Henkin Louis, Foreign Affairs and the United States Constitution, Clarendon Press, Oxford 1996. The Constitution of the United States, http://constitutionus.com/, (access: 17.01.2015). 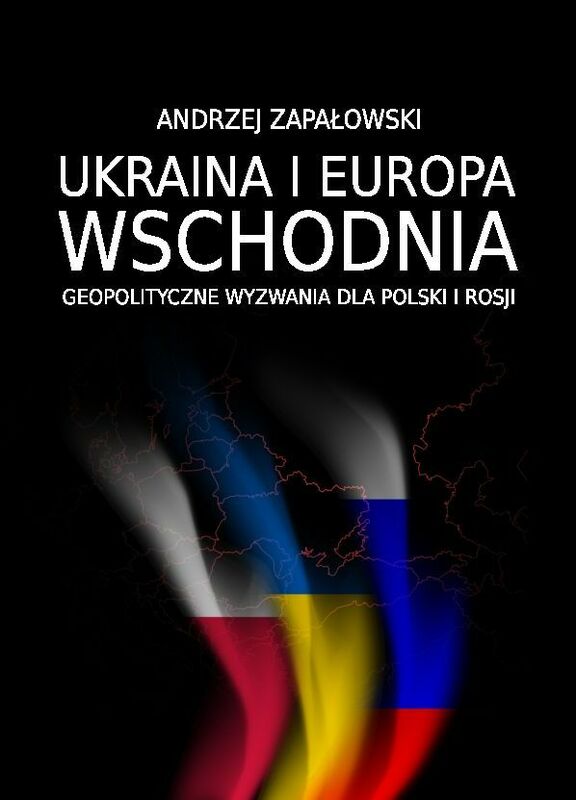 Tokarczyk Roman Andrzej, Prawo amerykańskie, Wolters Kluwer Polska, Warsaw 2009, p. 142. Laidler Paweł, Konstytucja Stanów Zjednoczonych Ameryki. 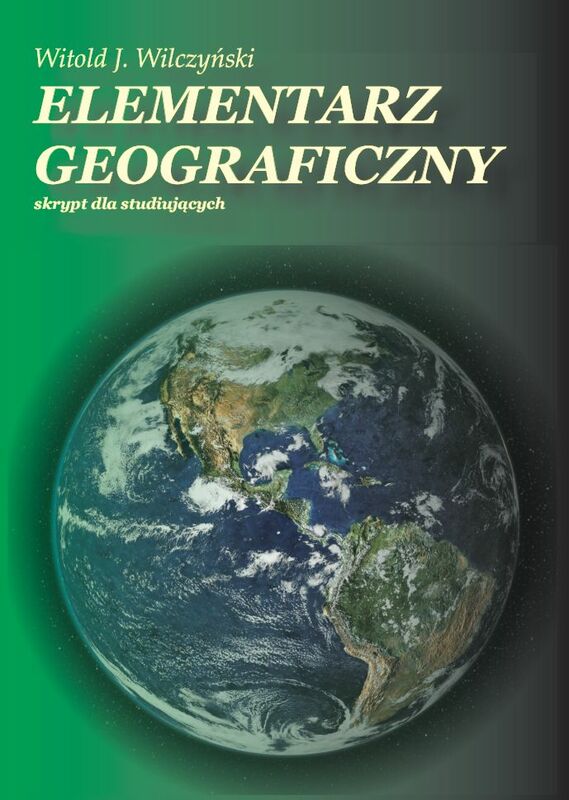 Przewodnik, Wydawnictwo Uniwersytetu Jagiellońskiego, Kraków 2007, p. 47. Stein Herbert, Presidential Economics. The Making of Economic Policy From Roosevelt to Clinton, AEI Press, Washington (D.C.) 1994. 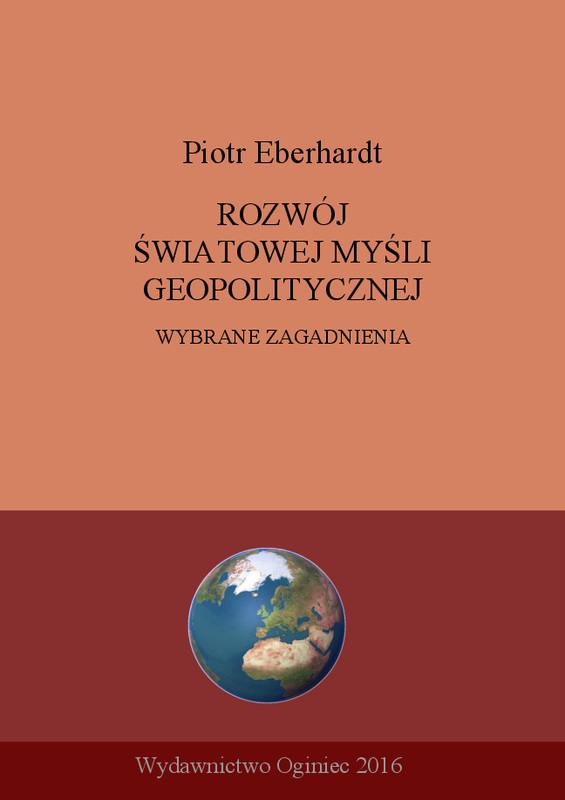 Ludwikowski Rett L., Handel międzynarodowy, Wydawnictwo C.H. Beck, Warszawa 2012. Hamilton Lee H., The Making of U.S. foreign policy: The roles of the President and Congress over four decades, w: James A. Thurber (red. ), RIVALS FOR POWER. Presidential-Congressional Relations, Rowman & Littlefield Publishers Inc, Lanham 2002, p. 207. Wilson James Q., American government: institutions and policies, D.C. Heath, Lexington 1989. Official website: http://www.ustr.gov/about-us/history (access: 14.01.2015). Lovett William Anthony, Eckes Alfred E. Jr., Brinkman Richard E., U.S. Trade Policy: History, Theory, and the WTO, M.E. Sharpe, Inc., Armonk (NY), 2004, p. 147. 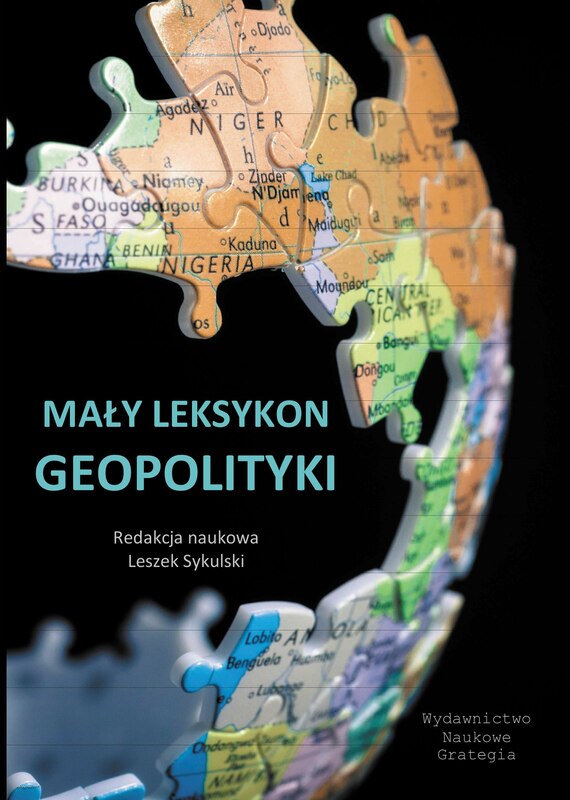 Ludwikowski Rett L., Ameryka – świat biznesu. 250 pytań i odpowiedzi na temat handlu zagranicznego, Instytut Przemysłowo-Handlowy im. Mirosława Dzielskiego, Kraków 1991, p. 68. Goldberg Jan, The Department of Commerce, The Rosen Publishing Group, Inc., New York (NY) 2006. Charnovitz Steve, Reinventing the Commerce Dept., „Journal of Commerce”, July 12, 1995. The Department of Commerce, University of Michigan Library, Ann Arbor (MI) 2007. Fennell Mark, Introduction to the Department of Commerce (Citizen’s Guide to Federal Agencies), Kindle Edition, Amazon Digital Service, Inc., 2011. Griffin Robert J., The Department of Commerce, Chelsea House Publishers, New York (NY) 1991. Shawn Dorman, Inside a U.S. Embassy: Diplomacy at Work. The Essential Guide to the Foreign Service, Potomac Books, Inc., Sterling (VA) 2011, p. 20. U.S. Department of Commerce, The Department of Commerce: Condensed History, Duties, and Practical Operation, Biblio Bazaar LLC., U.S. Department of Commerce, Washington (D.C.) 2008. Official website: www.treasury.gov (access: 31.01.2015). Kurian George Thomas (ed. ), A Historical Guide to the U.S. Government, Oxford University-Press, Inc., New York (NY) 1998. Kaufman Judith C., United States Department of the Treasury: current issues and background, Nova Science Publishers, New York 2003. Mania Andrzej, Department of State 1789-1939. 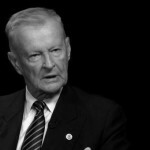 Pierwsze 150 lat udziału w polityce zagranicznej USA, Wydawnictwo Uniwersytetu Jagiellońskiego, Kraków 2011. Plischke Elmer, U.S. Department of State: A Reference History, Greenwood Press, Westport (CT) 1999. Rothgeb John M. Jr., U.S. Trade Policy: Balancing Economic Dreams and Political Realities, CQ Press, Washington (D.C.) 2001. Official website: www.state.gov (access: 31.01.2015). Moskin Robert J., American Statecraft: The Story of the U.S. Foreign Service, Thomas Dunne Books, St. Martin’s Press, New York (NY) 2013. Borklund Carl W., The Department of Defense, Praeger, New York (NY) 1968. Official website: www.dsca.mil (http://www.dsca.mil/PressReleases/fmsadvantagev2.pdf) (access: 31.01.2015). Glennon John P., Trask Roger R. (ed. ), The Department of Defense: documents on organization and mission, 1978-2003, Office of the Secretary of Defense, Historical Office, Washington (D.C.) 2008. 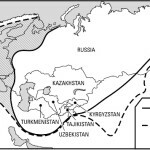 Gholz Eugene, Sapolsky Harvey M., Talmadge Caitlin, US Defense Politics: The origins of security policy, Routledge 2013. Functions of the Department of Defense and Its Major Components, By: Department of Defense, CreateSpace Independent Publishing Platform, 2013. Official website: http://www.usda.gov/wps/portal/usda/usdahome?navid=TRADE_POLICIES&navtype=RT&parentnav=MARKETING_TRADE (access: 02.02.2015). Henneberry T.J., Federal entomology: beginnings and organizational entities in the United States Department of Agriculture, 1854-2006, with selected research highlights, Agricultural Research Service, U.S. Department of Agriculture, Washington (D.C.) 2008. Cochran Clarke E., Mayer Lawrence C., T. R. Carr, Joseph N. Cayer , Mark McKenzie, American Public Policy: An Introduction, Wadsworth Cengage Learning, Boston (MA) 2011. Official website: www.dol.gov (access: 03.02.2015). Milakovich Michael E., Gordon George J., Public Administration in America, Cengage Learning, Andover 2012. Wilson James Q., American Government: Brief Version, Wadsworth Cengage Learning, Boston (MA) 2011. Official website: www.cbp.gov (dostęp: 03.02.2015). Bullock Jane, Haddow George, Introduction to Homeland Security. Second Edition, Elsevier Inc., Burlington (MA) 2006. Becker William H., McClenaham William M., The market, the state, and the Export-Import Bank of the United States, 1934-2000, Cambridge University Press, Cambridge (UK); New York (NY) 2003. Feinberg Richard E., Subsidizing success: the Import-Export Bank in the U.S. economy, Cambridge University Press, Cambridge 1992. Hillman Jordan Jay, The Import-Export Bank at work: promotional financing in the public sector, Quorum Books, Westport (CT) 1982. Essex Jamey, Development, security, and aid: geopolitics and geoeconomics at the U.S. Agency for International Development, University of Georgia Press, Athens 2013. United States General Accounting Office, U.S. Agency for International Development: Status of Achieving Key Outcomes and Addressing Major Management Challenges: Report to the Ranking Minority Member, Committee on Governmental Affairs, U.S. Senate, U.S., Government Printing Office, Washington (D.C.) 2001. Brennglass Allan C., The Overseas Private Investment Corporation: a study in political risk, Praeger, New York (NY) 1983. Official website: www.opic.gov (access: 03.02.2015). Moran Theodore H., Reforming OPIC for the 21st century, Institute for International Economics, Washington (D.C.) 2003. U.S. Trade Development Agency, U.S. Business Guide to USDA, U.S. Trade and Development Agency, Arlington (VA) 2009. Official website: www.ustda.gov (access: 04.02.2015). Hinkelman Edward G., Putzi Sibylla, Dictionary of International Trade: Handbook of the Global Trade Community Includes 21 Key Appendices, World Trade Press, Petaluma (CA) 2005, p. 180. Official website: www.usitc.gov (access: 13.02.2015). United States International Trade Commission, United States International Trade Commission, Washington (D.C.) 1994.
 Cooper William H., Hornbeck J. F., Trade Promotion Authority (TPA) and the Role of Congress in Trade Policy, Congressional Research Service, August 9, 2012. Ground on Trade Demands More Than a Name Change, „The George Washington International Law Review”, vol. 35, no. 1, 2003, p. 6. The Trade Act of 1974 (full text), http://uscode.house.gov/download/pls/19C12.txt (access: 01.02.2015). United States General Accounting Office, International Trade. Combating Unfair Foreign Trade Practices, Report to the Chairman, Committee on Finance, U.S. Senate, March 1987. Jacobs Lawrence R., Page Benjamin I., Who Influences U.S. Foreign Policy?, „The American Political Science Review”, Vol. 99, No. 1, Feb., 2005, pp. 107-123, American Political Science Association, http://www.jstor.org/stable/30038922 (access: 30.08.2012). Peake Jeffrey S., Jackson David J., Biglaiser Glen, Don’t Go Changing to Try and Please Me: A Preference-Consistency Analysis on Trade Policy in the U.S. House, „Congress & The Presidency”, Volume 34, Number 1, Spring 2007. McMillan Samuel Lucas, The Involvement of State Governments in US Foreign Relations, Palgrave Macmillan, February 2012. Ku Julian G., Gubernatorial Foreign Policy, „The Yale Law Journal”, 2006, s. 2414. Ludwikowski Rett L., Ameryka – świat biznesu. 250 pytań i odpowiedzi na temat handlu zagranicznego, Instytut Przemysłowo-Handlowy im. Mirosława Dzielskiego, Kraków 1991, pp. 37-38. Mania Andrzej, Laidler Paweł, Wordliczek Łukasz (ed. ), U.S. Foreign Policy. Theory, Mechanisms, Practice, Wydawnictwo Uniwersytetu Jagiellońskiego, Kraków 2012. Fast-track for trade agreements is the authority of the President of the United States to negotiate international agreements that Congress can approve or disapprove but cannot amend or filibuster. Known as KORUS FTA, concluded on June 30th 2007 r. Its purpose was to reduce the tariffs of 95% in 5 years. Trouble with trade policy, Economist.com / Global Agenda (Apr 3, 2007): 1. (access: 27.08.2012). Barrie Robert Wesley, Congress And The Executive: The Making Of United States Foreign Trade Policy, „ProQuest Dissertations and Theses”, 1968. Katznelson Ira, Shefter Martin (ed. ), Shaped by war and trade. International Influences on American Political Development, Princeton University Press, Princeton 2002, p. 122.